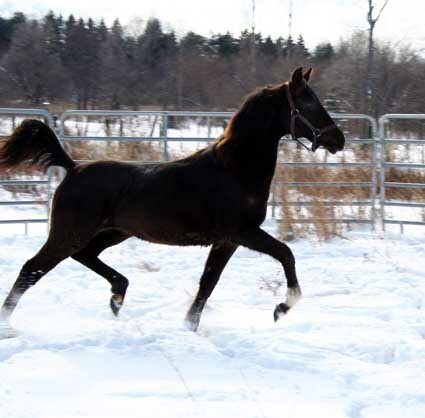 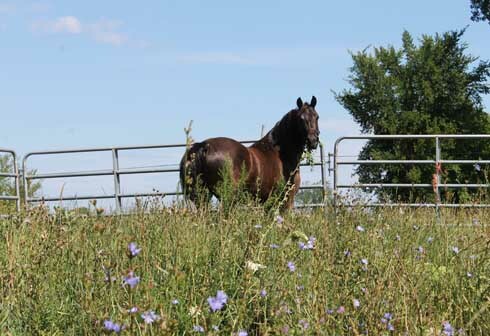 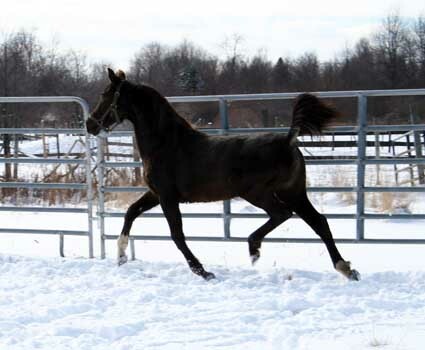 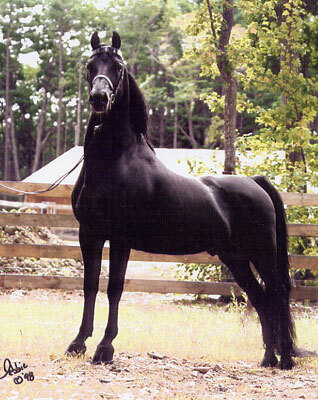 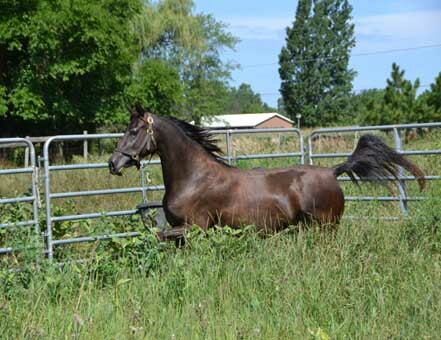 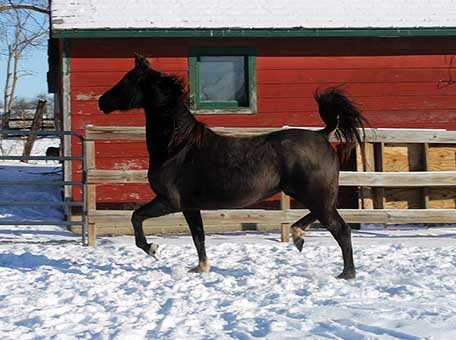 For more than two decades, Immortal Command consistently produced incredible offspring and won the UPHA's (all breed) Silver Stirrups award three different times (award honor's a breeding stallion's ability to produce top offspring able to compete in *all* divisions successfully, and in all breeds). 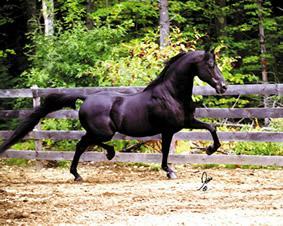 He is Time's sire. 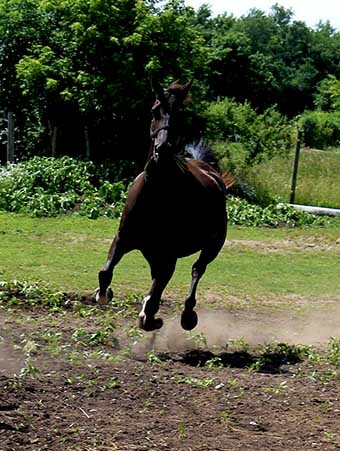 Katie is TIme's dam. 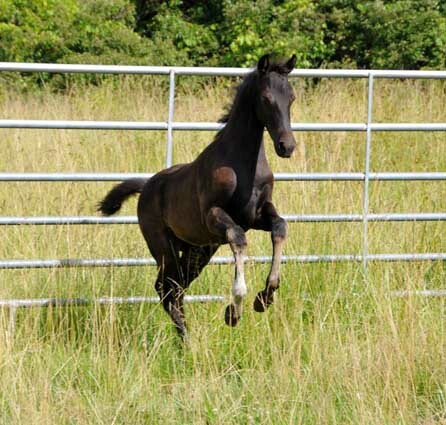 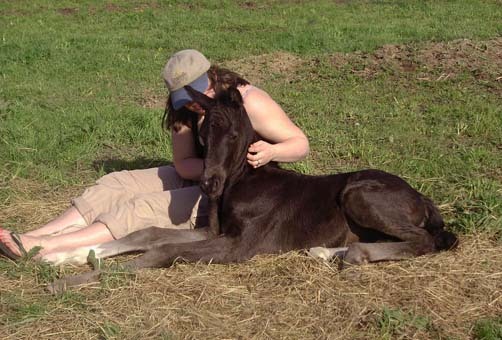 Katie has the most beautiful, correct, and sane foals. 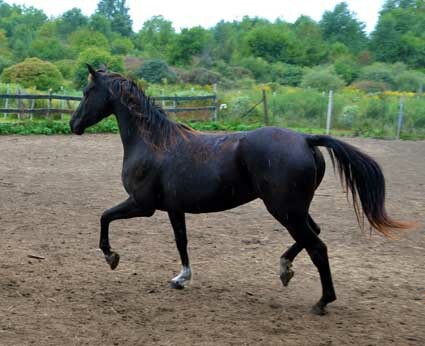 They have all had rock-steady mindsets with a little spark and pizzazz and Timeless is just like that, too. 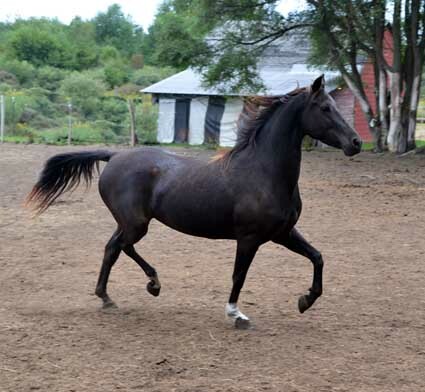 We love watching her strut around, tail flagged, and being confident. 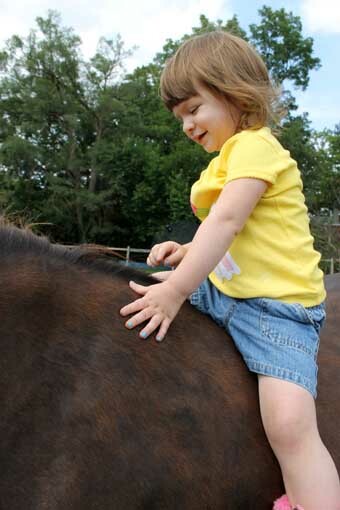 We have began her saddle training and she is extremely willing to please and learns fast. 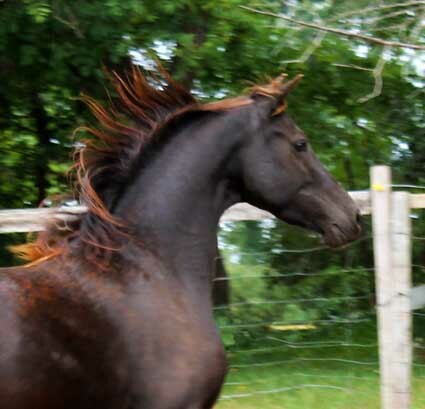 What a blast she is going to be to ride! 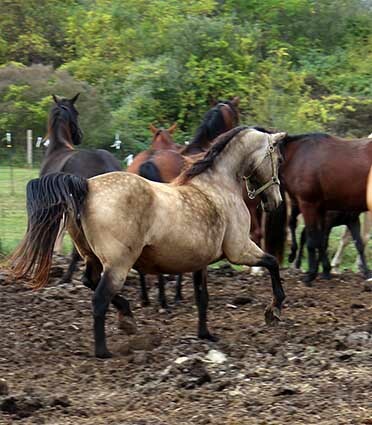 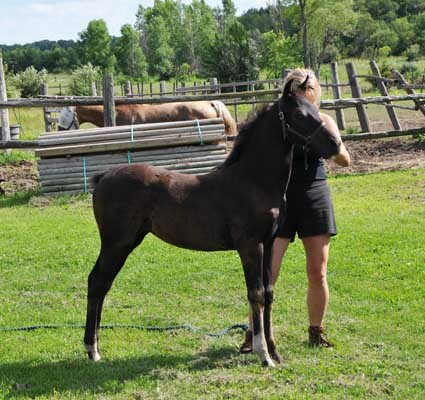 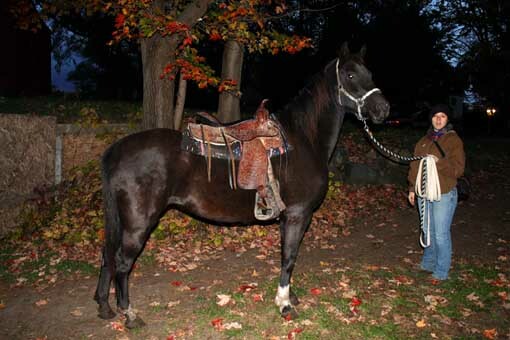 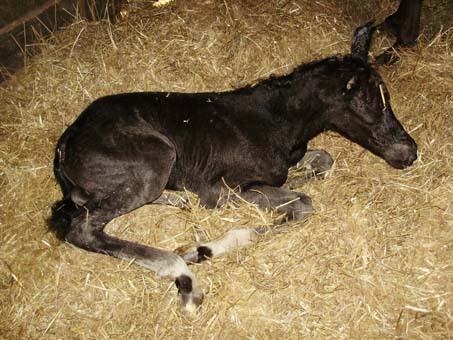 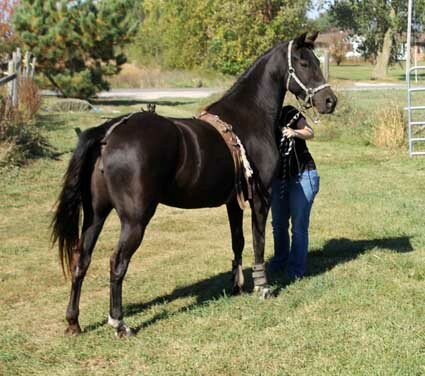 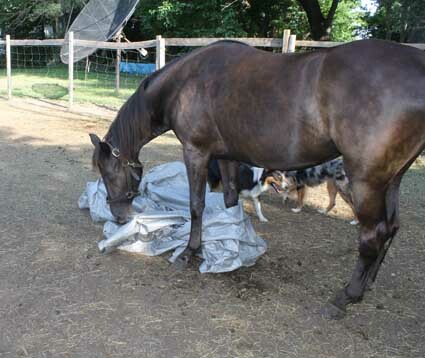 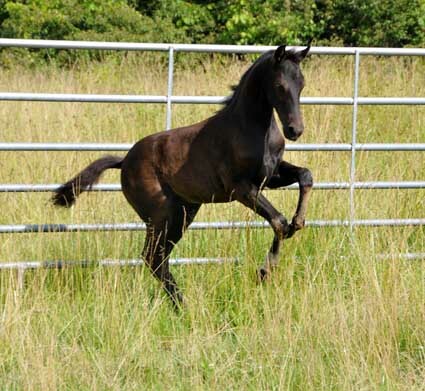 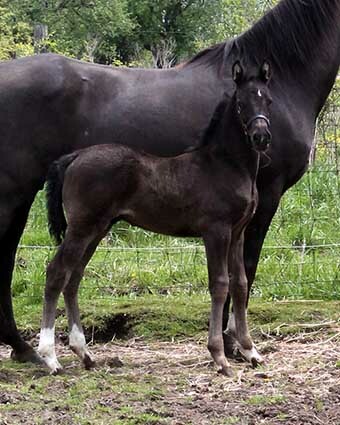 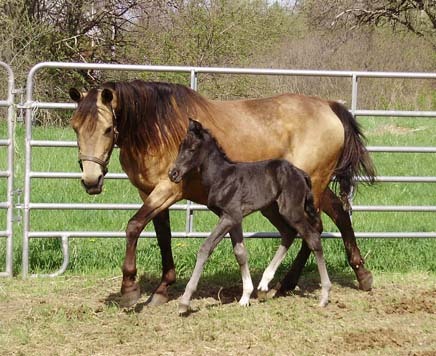 She has been DNA tested to be a smoky-black; meaning she carries a dilute gene and can produce palomino, buckskin, or smoky black foals, in addition to the traditionally colored ones as well. 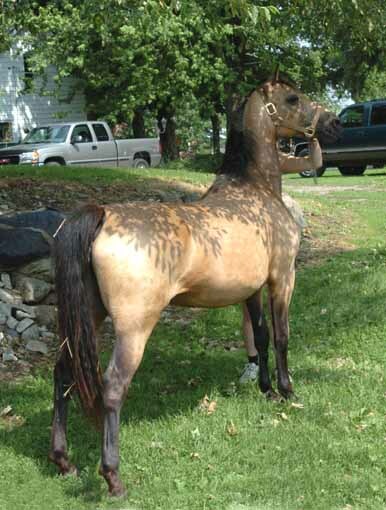 She is the only offspring of Immortal Command who is capable of producing a colorful offspring. 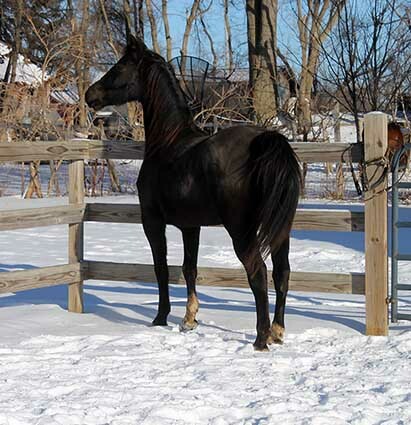 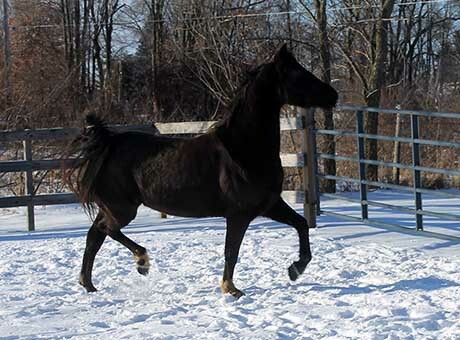 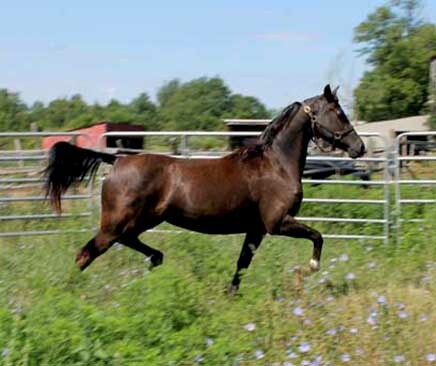 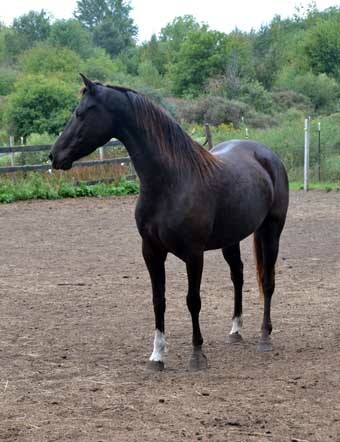 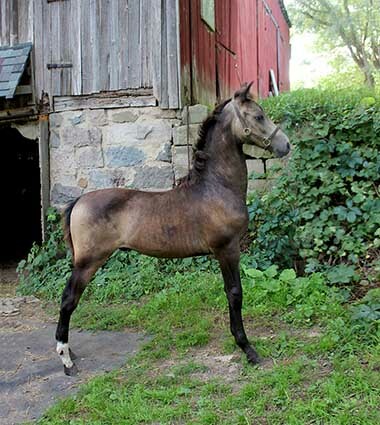 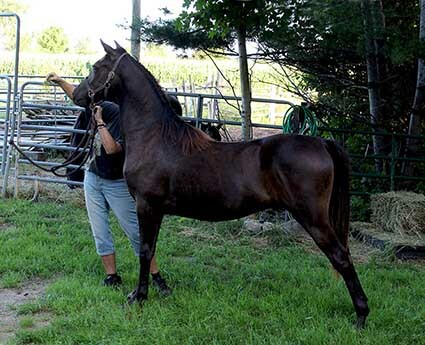 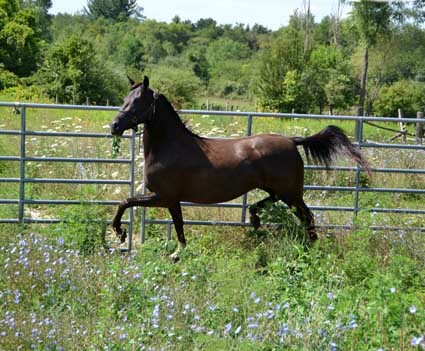 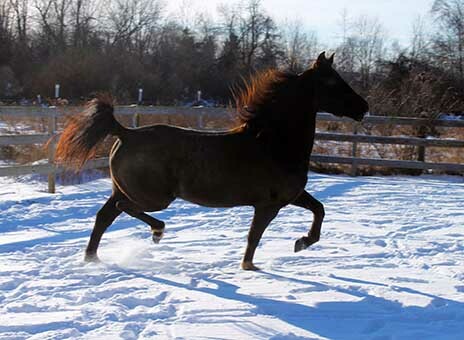 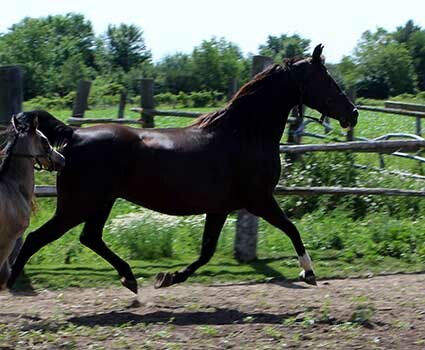 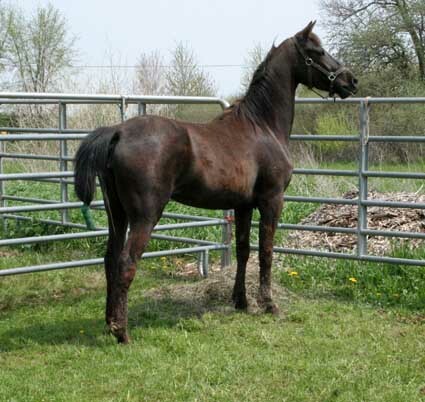 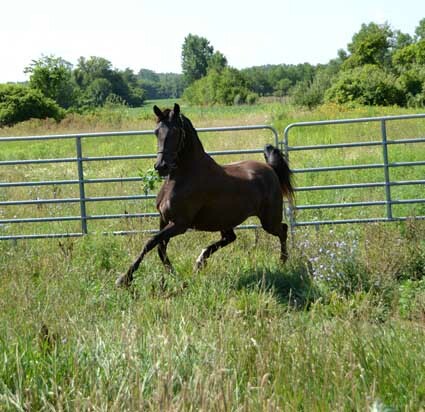 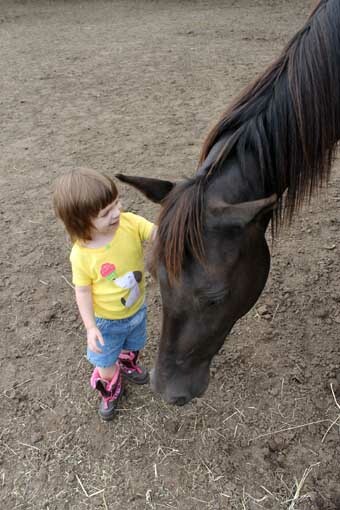 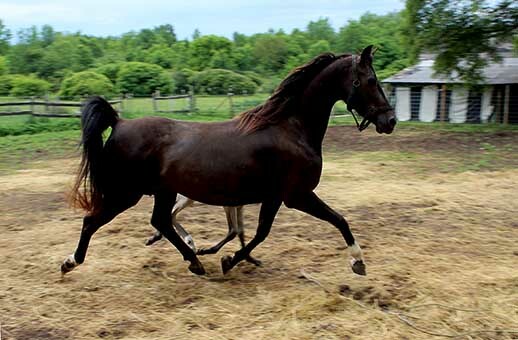 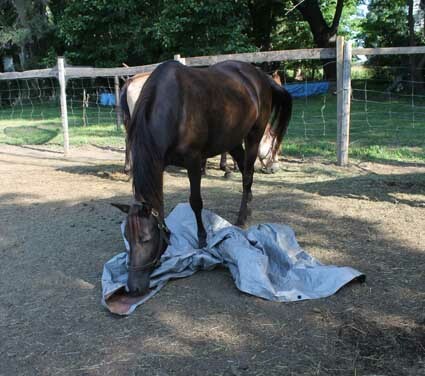 As such, she is truly a treasure to any breeder looking to create a quality-by-breed-standard colorful Morgan horse. 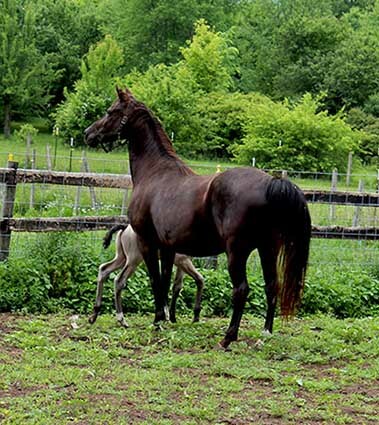 She has had three sons to date and has passed her dilute gene on to each of them! 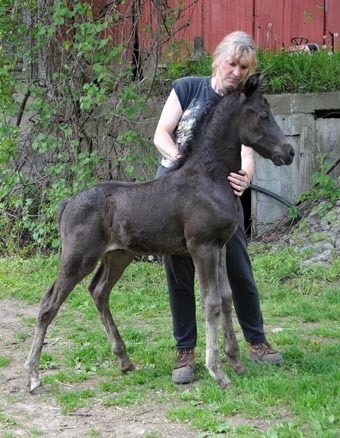 I waited over 15 years to have my very own Immortal Command daughter. 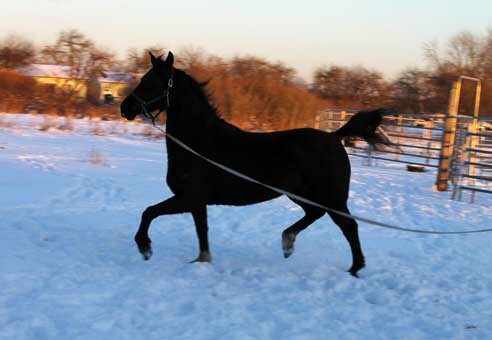 I could not be more happy with this beautiful and talented mare and I intend to keep this mare forever!